The concept of expertise and its relevance to the issue of teacher quality is discussed. An eclectic approach to the study of expertise in teaching is evident and the chapter examines: a staged model of expertise, expertise and cognitive processing and expertise as mastery and reflection-in-action. 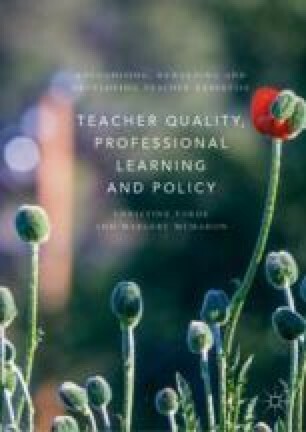 The chapter also examines studies of expert teachers which seek to identify the attributes of highly skilled teachers and the process of professional learning underpinning their practice. The issues of over-routinisation and automaticity in expert practice are discussed and the concept of ‘adaptive expertise’ and its relevance to teacher development is considered. Asia Society. (2014). Excellence, Equity and Inclusiveness: High Quality Teaching for All: The 2014 International Summit on the Teaching Profession. New York: Asia Society. https://asiasociety.org/files/2014teachingsummit.pdf. Glaser, R. (1985). Thoughts on Expertise. Pittsburgh: Learning Research and Development Centre, University of Pittsburgh. https://files.eric.ed.gov/fulltext/ED264301.pdf. Hattie, J. (2003, October). Teachers Make a Difference: What Is the Research Evidence? Conference Paper, ACER Research Conference, Building Teacher Quality: What Does the Research Tell Us? Melbourne, Australia. http://research.acer.edu.au/research_conference_2003/4/.